CityPASS makes it a cinch to visit top attractions in various cities around the world. 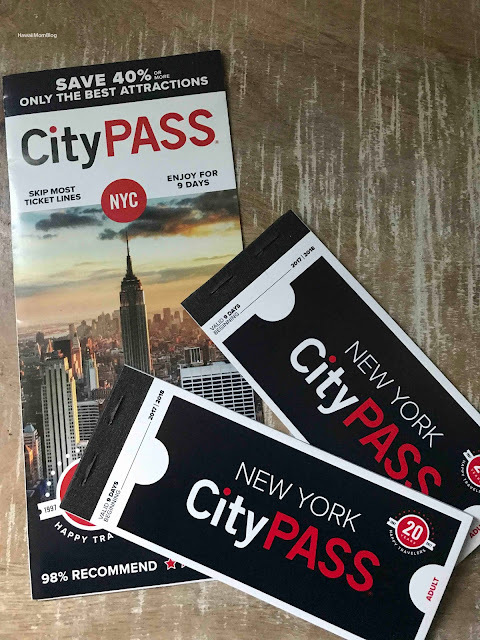 During our trip to New York, we used the New York CityPASS, with which you can visit 6 attractions at a savings of 42% over regular 2017 admission prices. To get a CityPASS booklet, simply buy your pass online to get a printable voucher that you take to the first attraction you visit, and you'll get a CityPASS booklet in return. You can also request your booklet to be shipped to you or your hotel, or buy a CityPASS booklet at one of the included attractions. The CityPASS is good for 9 consecutive days from the date of first use, so you can spread out your visits out without feeling hurried. When you're ready to use it, just present the booklet at the location indicated on the ticket. At some attractions, CityPASS holders can skip lines. Just be sure not to remove any tickets - the attraction's representative must be the one to tear out the ticket, or else it will be considered invalid. I used CityPASS at The Empire State Building Experience, American Museum of Natural History, Top of the Rock Observation Deck, Circle Line Sightseeing Cruises, and Intrepid Sea, Air & Space Museum. In addition to admission to six attractions, you will also get coupons and other valuable discounts in your booklet! And if you are short on time, the New York C3 Pass lets you choose from 3 attractions! CityPASS definitely helped to make our time in New York enjoyable! Mahalo to CityPASS for the complimentary booklets.